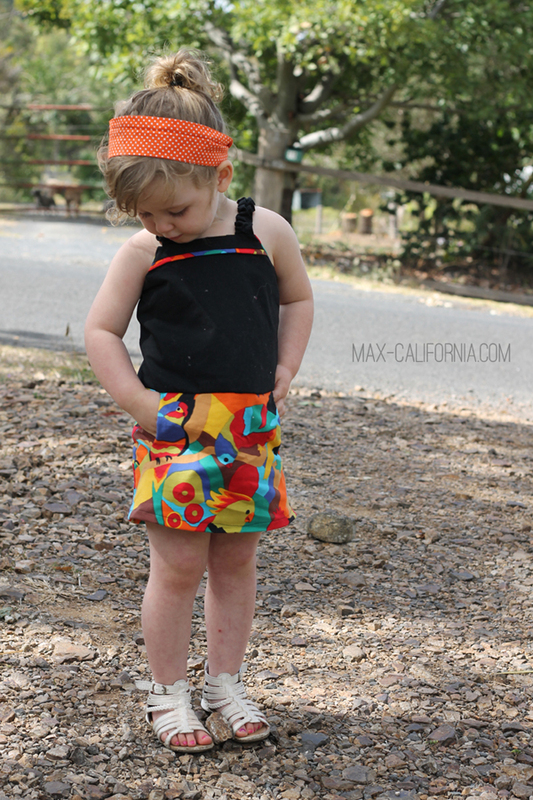 Are you ready for the Paneled Sunsuit pattern tour? I’ve been waiting weeks to show you guys all of the amazing things that have been made with this pattern, so sit back, grab a cup of something yummy, and enjoy the first day of the “Not Just a Sunsuit” tour! 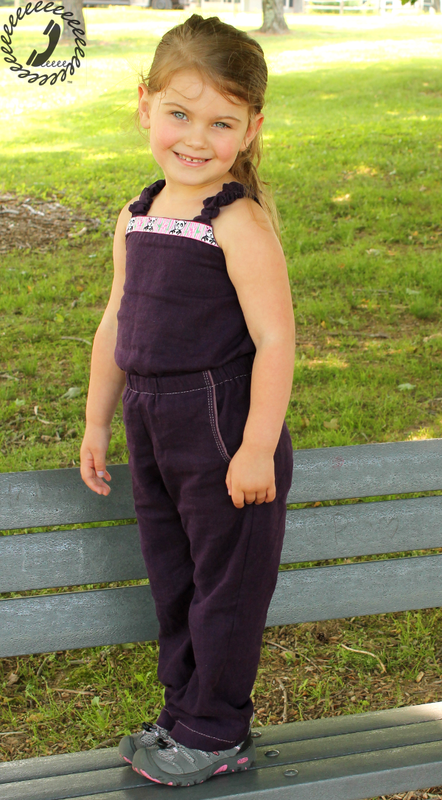 For those of you unfamiliar with the Paneled Sunsuit pdf pattern I’ll give you a quick intro. 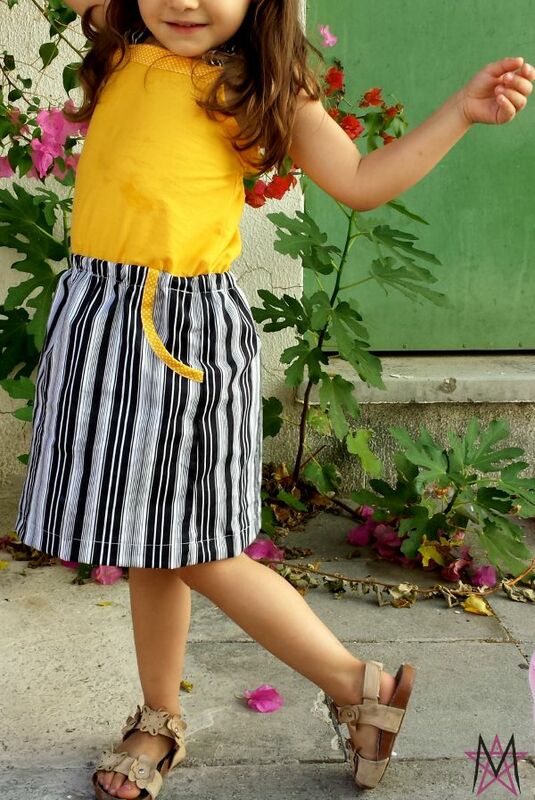 The original pattern was for the sunsuit/romper I designed, but by the time the pattern was release it had turned into a sunsuit, jumpsuit, jumper, maxi dress, shorts, trousers, two different cropped tanks, a just above the knee skirt, and a maxi skirt – ALL in sized newborn through 12 years. 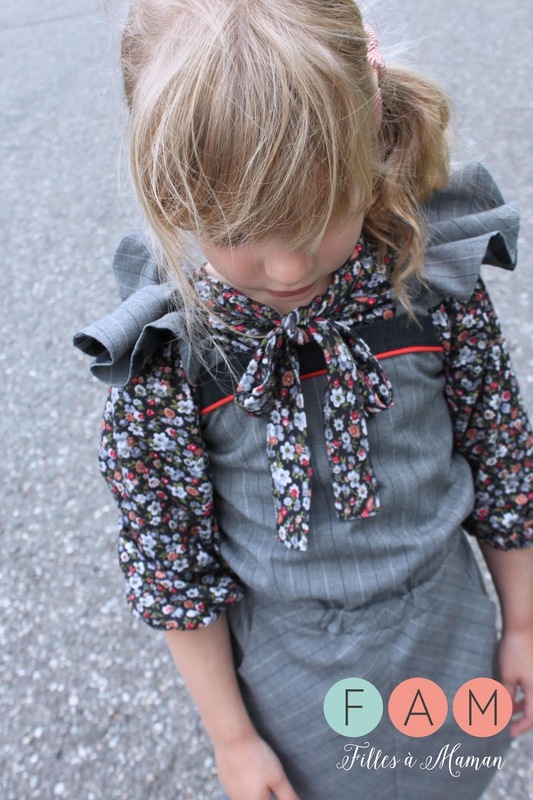 The way the bodice was designed the covered straps are stretchy enough to go up and over the hips, waist, and shoulders so it’s easy for the big kids to get on and off on their own – Bean always says it’s like taking off a bathing suit. Of course, there’s also an option for diaper snap panels on the sunsuit/shorts/jumpsuit/trousers for the littles. First up is Adrianna of Hey June and Crafterhours. 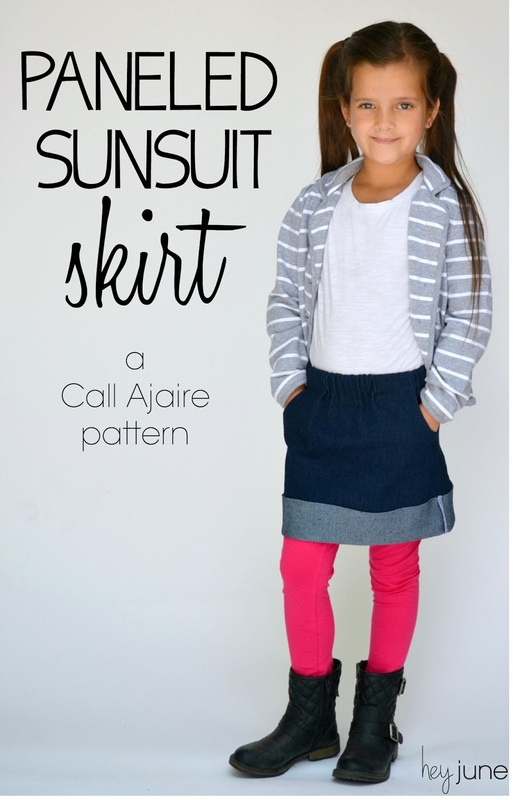 She’s sharing an amazing skirt version of the pattern. Next we have Mel from Filles à Maman. Look at those adorable flutter sleeves! You have to check out the rest of this sweet jumper. Magda from House of Estrela made a jumper too! The colors in this one are fantastic! And finally, the amazing Ari from Max California. Another jumper! And as she points out, a jumper is a sweater for many of you non-americans, but here in the US a jumper is like a pinafore, hehe. Either way hers is GORGEOUS. So here’s the sneak peek. That’s right…..sleeves! The shoulders use the same elastic measurement as the straps so they still come on and off with ease. Plus they are A-DOR-A-BLE. I’m super excited to release this add-on soon, so keep an eye out before the end of the tour. And here is the full line-up for the tour. Just look at how many amazing ladies we have! !